Consumer’s attitudes towards the nutritional aspect of the foods and proper eating habits are increasing rapidly. Food labeling is one of the most important factors affecting for the purchasing decisions of the consumers. Many food products have more than one label claims to attract health conscious consumers. 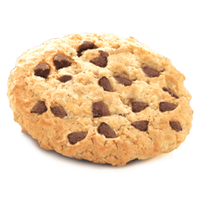 For instance, many biscuits claim to be organic, gluten free, have 0% artificial preservatives and 0% artificial colour. Such biscuits are usually made from organic, gluten free grains; they may not have sucrose but can have jaggery or dates as its ingredients that contribute to sweetness. 4. Low Fat Cream – It contains minimum 10% fat. It can go up to 40%. 7. Gluten Free – The food product does not contain gluten grains such as wheat, barley, rye or their flours as an ingredient. Also many food products are naturally gluten free but still have such claims on labels because consumers can be confused as to which products contain gluten. For instance, there is no difference between “Cow Milk” and “Gluten free Cow Milk”. 8. No Preservatives – The product may not have artificial preservatives but they can have natural preservatives such as rosemary extract. Also, the ‘no preservatives’ claim does not ensure that the food product is free from food additives. The food product may contain food additives such as ascorbic acid (an antioxidant), Pectin (a stabilizer) or nature identical flavoring substances. For instance, no preservatives jam. 13. Only x% sugar – The food packaging when claims to have only ‘x’ amount of sugar, it means that the product contains ‘x’ amount of sucrose. These products do not list the exact amount of other sugars added such as caramel, fructose, glucose, maltose, etc. These sugars do contribute to the calories too. 15. Fortified with _ _ _ _ _ _ – The end food product has been fortified with the listed nutrients, in accordance with the minimum and maximum limits set by FSSAI. For instance, pasteurized milk fortified with Vitamin A, K, D&E.